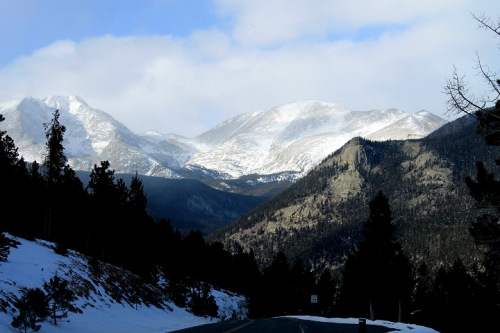 Thank you, Stephen Blair Kopacki, for the amazing header photograph! In April of 2009 I wrote the first post to Bree’s Mackinac Island blog. I began it on a whim and as a chance to satisfy a life-long desire to write. I’d always heard the easiest thing to write on was something you were passionate about, and Mackinac Island sure fit that requirement! Over the past almost-seven years, that first blog morphed into four other blogs: Bree’s Lake Blackshear Blog (when we were off the island at our home in south Georgia), the VERY short-lived Dog-Eared Page Blog (about the dogs of Mackinac Island), Bree’s Connecting the Dots Blog (the transition from Mackinac Island and Georgia to our new home in Florida), and recently Bree’s To Be Clay Blog (about living in Florida). To those five blogs I’ve posted a total of 1,227 stories. That’s pretty much one story every two days – for approximately the last 2,340 days. To those five blogs, and over that same time period, readers took time out of their busy schedules to post 20,124 comments. 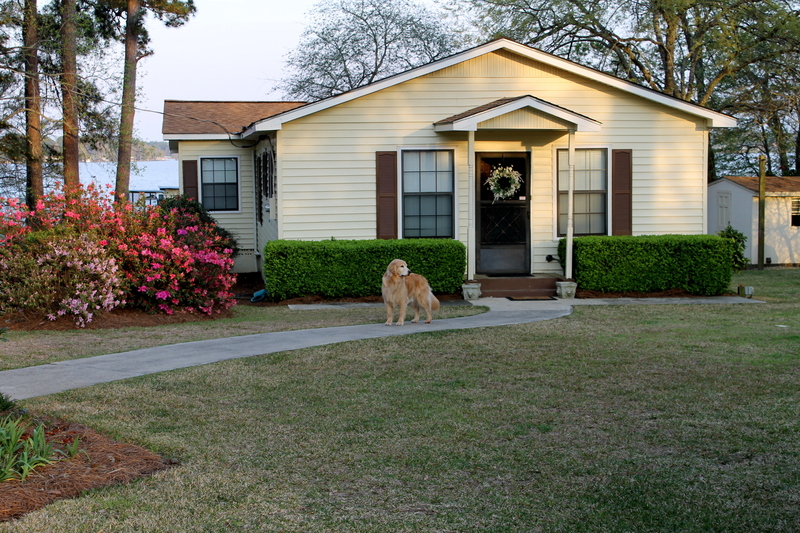 Bree’s Lake Blackshear Blog: Our sweet little cottage at Lake Blackshear in the Spring. 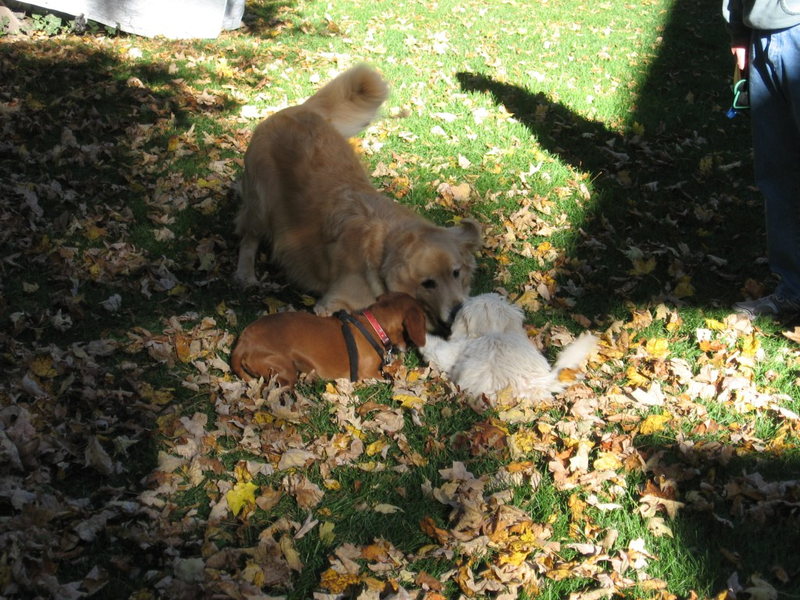 The Dog-Eared Page: Maddie and Bear playing with Buddy, an island friend. 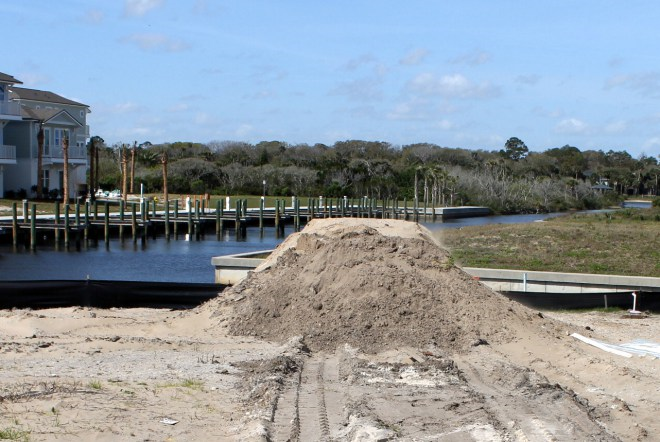 Connecting the Dots: This mound of dirt eventually became part of the foundation for our new home in Sunset Inlet. To Be Clay: The good life in Beverly Beach! So – where am I going with all this. As I do every year about this time, I’ve taken the last few weeks to think about how I can continue to write something interesting – or whether I want to continue writing at all. And every year I come back to two truths. I love to write, and I love my readers. This year I’ve had to dig a little deeper though. With age and with some health issues, I find the need to focus on the things I love to write about most. And – surprise! – that is still that tiny island sitting in the Straits of Mackinac. In studying the comments, the statistics, and the overall feed-back on all my blogs, I know – without a shadow of a doubt – that same tiny island is also what you most want to READ about. My latest blog – To Be Clay – has an average of 400 readers for each post. Most of you are Mackinac Island fans who have followed me almost since that first island blog in 2009. You’ve been my loyal “core” family, and I love you with all my heart. 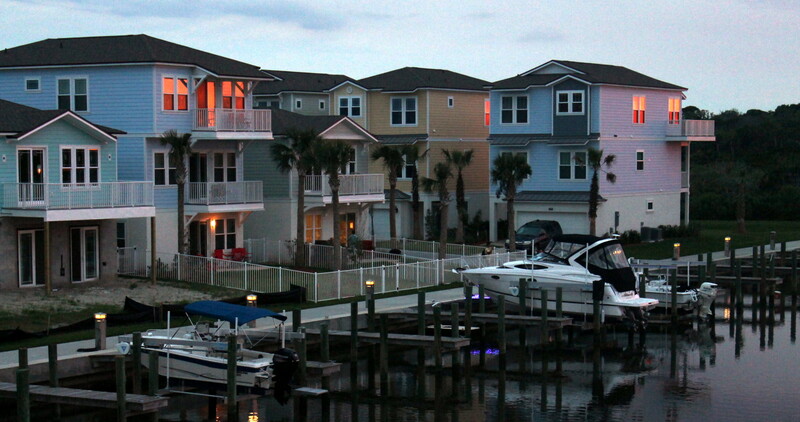 You’ve continued to read whether I’ve been in Georgia on the lake or in Florida across from the Atlantic Ocean. You are the reason I’ve continued to write for this long. But – when I traveled to Mackinac in December to write for Original Murdick’s Fudge – my reader average jumped to almost 1200 a day. That number continued throughout my stay there. What that tells me is that ultimately “Mackinac Island” is what you want to hear about – what you want to see photographed, what you want to learn more about. Just as when I first starting going to Mackinac and would search everywhere for news about the island, I know there is a group out there right this minute doing the same thing. I know there are those who already love the island – and harbor a dream of maybe one day living there. You are constantly soaking up every single fact you can find about how to make that happen. I want to help with that. So – as of right now – there will only be one place I’ll be writing. Bree’s Mackinac Island Blog – the first and the most loved – will be where you’ll find the Hortons. This will be the last post to To Be Clay. The content won’t really change. I’ll be sharing our lives here in Florida, sharing photographs and news from Mackinac when we aren’t there, and – good Lord willing – taking y’all with us in July when we travel north for three months on our favorite island. And hopefully, in between all that, there may be some visits to other places! I hope those of you who only follow the To Be Clay blog will click here: http://bree1972.wordpress.com and then hit the “follow” button – so you’ll continue to be connected when there’s a new post! Instead of going back to the future, we’re going forward to the past. 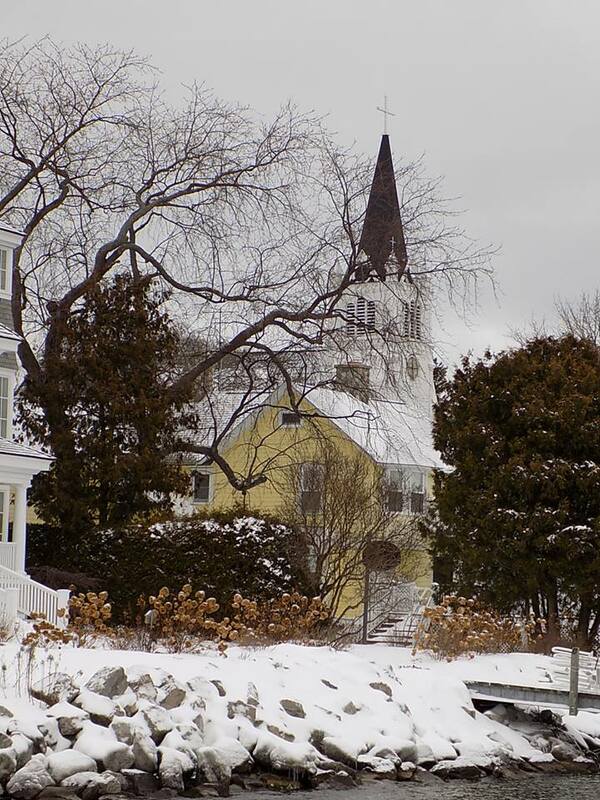 Bree’s Mackinac Island Blog is where it all began. I’ve got stories to tell, photographs to share, people to meet. It makes me feel both excited – and quietly content – to come full circle. Woo Hoo – we’re off! St. Anne’s by Tom Chambers.